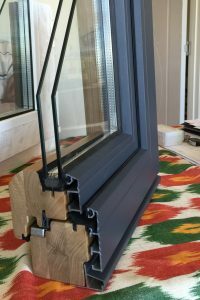 A Code of Practice for the design, testing, assembly and installation of windows and doors covering all frame materials, in conjunction with the Window Association of NZ and interested parties, is being developed by BEAL Professional Services Ltd (BPS). The current Standards used in New Zealand and Australia, which are similar, provide but a percentage of the performance requirements required to demonstrate compliance with the national Building Codes of the respective countries. To address this situation, BPS are initially completing a wide survey of existing performance requirements from as many jurisdictions as can be found on the internet. From this a list of the performances that windows and doors ought to be assessed against, is to be drawn up. To date only the British Standard BS 8213-4:2016, titled : “Windows and doors. Code of practice for the survey and installation of windows and external doorsets” has been found useful. Over time, the findings will be shared with interested parties to obtain a consensus as to what the final format and content should look like.